For more information on any of our press releases, please contact info@babylifeline.org.uk or call us 01676 534671. ‘Training gap’ must be filled to improve UK maternity care and reduce avoidable deaths and injuries to mums and babies. Maternity care specialists unite in supporting campaign aiming to improve training and equipment in hospitals across the UK and reduce avoidable injuries and deaths on wards. 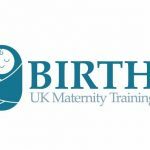 Baby Lifeline launches ‘Monitoring For Mums’ appeal at anniversary gala in bid to improve maternity training and equipment across the UK.